Play with a head of steam when you lace up the Nike Mercurial Steam V FG. 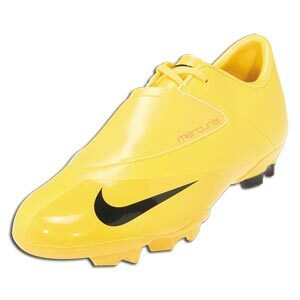 UPPER: Soft, supple synthetic leather with covered lacing for ball contact area. OUTSOLE: Lightweight TPU for traction on firm, natural surfaces.